Lauren announces the line up for this year's 6 Music Live at Maida Vale. Plus she's also joined by Irish singer-songwriter's James Vincent McMorrow. Lauren announces the line up for this year's 6 Music Live at Maida Vale. 6 Music Live showcases the music we love, from artists whose passion and flair is something we love sharing . Filmed in front of a live studio audience in Maida Vale, and now in its 5th year, the historic studios have seen the likes of De La Soul, Spiritualized, Orbital, Paul Weller, Primal Scream, Bat For Lashes, Hot Chip, Suede, Richard Hawley, Foals, Goldfrapp, Sigur Ros, Paul McCartney, Manic Street Preachers, Johnny Marr, Underworld, James, Bloc Party, Leftfield, Mercury Rev and New Order all perform live. As well as being able to listen to the gigs on the radio, they were streamed live and later found on Red Button and iPlayer. Returning on 3rd October 2016 for its 7th visit, 6 Music Live continues the tradition of finding the most important and relevant bands today, and placing them into an environment they all relish; live. But that's not all as there's also a special surprise in store. 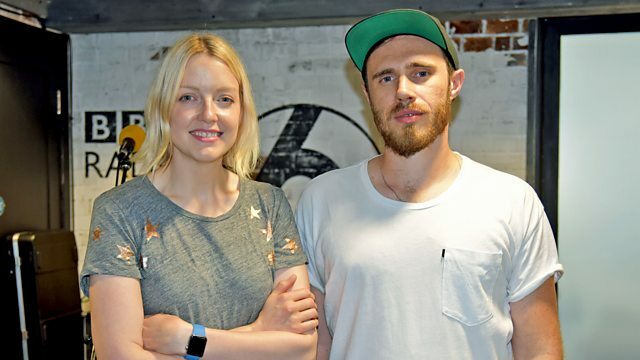 And James Vincent McMorrow joins Lauren in the Live Room with tracks from his latest album We Move. The Irish singer-songwriter's third record is out on 2nd Sept and is his most ambitious LP to date. Following 2010's 'Early In The Morning' and 2014's 'Post Tropical' (both of which extensively spun on the network) James has had a great 2016: we've been playing lead single 'Rising Water', he's been sampled by Drake, collaborated with Kygo, and covered Chris Isaak for a Game Of Thrones trailer. As it's Wednesday we'll also share another listener Memory Tape and add more new music to the Just Added playlist.